One of our mantras at Digital Mums is to #DoTheHustle which is all about having self belief, taking ownership and making opportunities happen. Networking is the perfect time to perfect your hustle and bag yourself a new job - or at the very least new contacts that could lead to a new job. 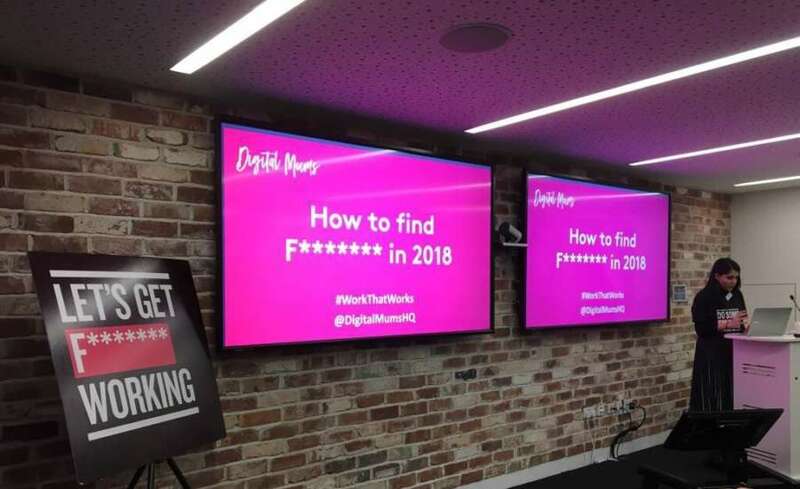 So, we teamed up with THE networking experts, LinkedIn, to put on an exclusive event showcasing how to maximise your social networks to find f******* work in 2018. 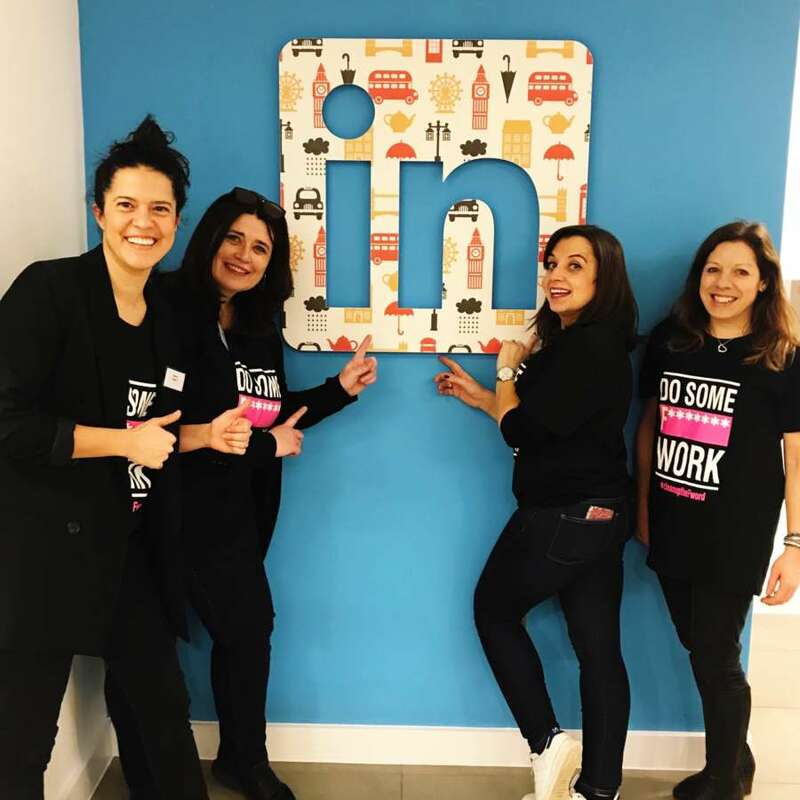 Over a few hours, LinkedIn’s Jo Simmons and Louisa Reynolds and our awesome head of admissions, Annika Iantosca, shared their top insights on how to create a stand out profile and become a networking superstar to a packed house of over 60 mums. They were joined by three of our amazing graduates, Liz Peacock, Anna Jones and Kay Olbison who shared their own inspiring journeys to becoming a Digital Mum and hustling for their f******* careers. You can watch the recorded Facebook Live video of their session here. And because we’re the sharing type, we’ve taken the best tips from the event and jotted them down for you below. Making connections on LinkedIn is essential as it develops your personal brand and profile visibility, but it’s important to consider who you send a request to or accept one from. Jo Simmons recommends that when you receive a new connection request, ask yourself if you would be happy to introduce this person to your online network. Remember, this isn’t just a numbers game. You ideally want to be connecting with relevant individuals who add value. It’s completely fine to decline someone’s request if you want to. If you’re looking for new job opportunities, one of our graduates Anna suggests that wherever you go or whoever you are talking to mention what you do. While getting her hair cut, Anna was speaking to some of the team about her job which led to a discussion about the salon needing social media help - and Anna bagging herself a brand new client. You don’t know when a new opportunity is going to come along! As part of her community campaign Kay created Mums Without Limits which highlights all the amazing things mums can do besides being a mum and still runs this today. During her training, Kay approached a bar and organised an event for mums to attend to celebrate her campaign. The bar was so impressed by Kay’s campaign they’ve recently got in touch with her to ask if she can manage their social media! You can be hustling without even knowing it. There’s lot of ways you can you use your personal social media accounts to make networking that little bit easier and find new connections. Annika suggests finding when your local twitter hour is on and taking part or joining networking groups on Facebook such as Mumpreneurs, Soulful PR, The Guilty Mothers Club and Doing it for the Kids. 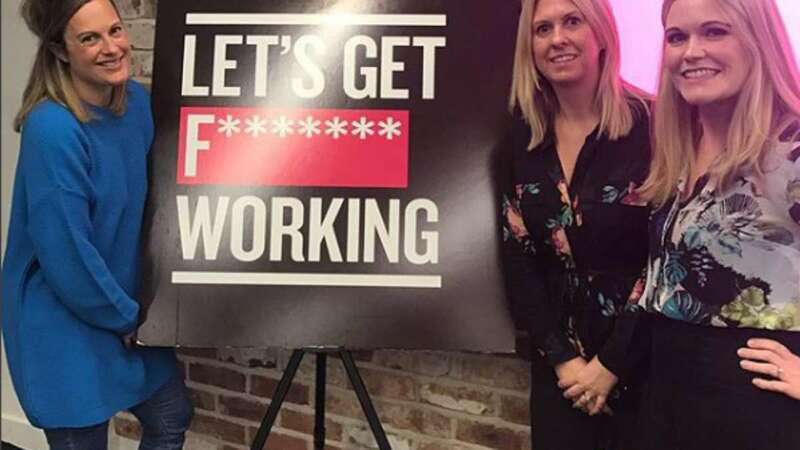 Louisa Reynolds recommends finding people who are absolutely smashing it on LinkedIn, following them and learning about what makes them so successful. Maybe it’s their amazing profile or the content they share. Start replicating what they are doing (or even better, improve on what they’re doing!) and see what difference this makes to your networking. Jo Simmons is passionate about gender equality and diversity in the workplace and shows this to her network through the articles she writes and content she shares. It’s good to post regularly on your profile to show what your passions and interests are and that you are up to date with industry news. We hope these tips help you on your journey to finding #WorkThatWorks. You can learn much more about LinkedIn and social networking through our Social Media Management Course and Social Media Marketing: Associate Programme.